How does the Invoice system work? 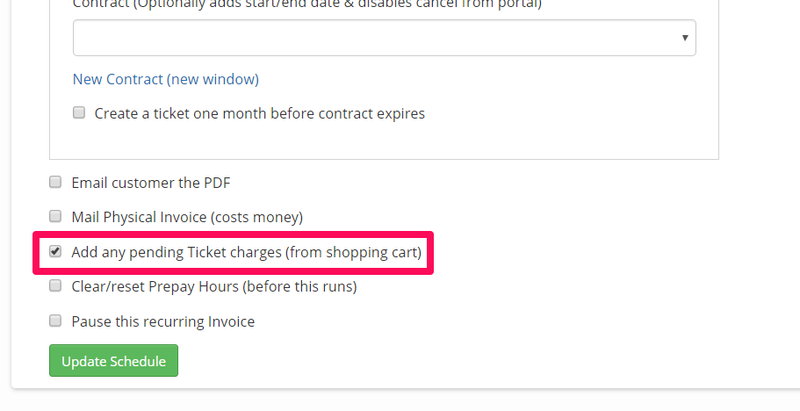 You can use the Shopping Cart to pull multiple charges from several Tickets to a single Invoice. 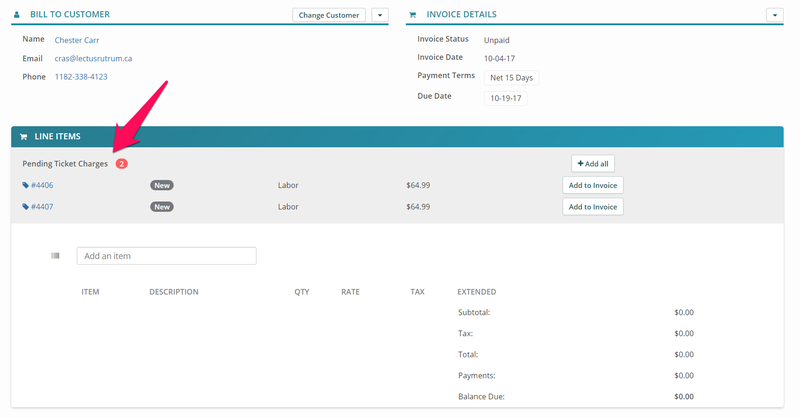 You can also use this ability automatically with Recurring Invoices so that all Pending Ticket Charges get collected in an Invoice for that customer. Checking that box and saving that Recurring Invoice will cause the Invoice to collect all Pending Ticket Charges for that customer and apply it to the Invoice every time it is generated. This means you can set the Recurring Invoice to 'Monthly' and have it generate a monthly Invoice of all Pending Ticket Charges for that customer automatically.